USRESIST NEWS is an information site where you can learn about current administration policies, analyses of them, and resources for those interested in taking action. We selected nine policy domains where administration policies are being scripted: civil rights, economic policy, education, the environment, foreign policy, health, immigration, jobs and infrastructure, and entitlement programs. We also have a blog on Trump’s activities, focusing on two areas: Trump’s foreign travel and the Trump-Russia connection. Our team of News Analysts will monitor and report on policies that emanate from the White House, Congress, government agencies, and in some cases state legislatures. Several times each month we post short Policy Briefs in each of our domains. Our Policy Briefs summarize the content of each policy (including a Learn More reference to the source document), an analysis of attributes of the policy, based on expert opinion, and a list of organizations working to challenge and perhaps in some cases affirm the policy. As a user of our site, you are invited to check back with us at the end of each week to see what new briefs have been posted. You also are invited to subscribe to our newsletter list and receive free weekly email blasts of all of our new briefs. (See the Policy Brief Mailing List button on our website for details). We welcome your feedback and suggestions as to how we can make our policy briefs and our website better. We also welcome expressions of interest from other organizations that would like to partner with use. Please contact Ron Israel (Project Director) at ron@usresistnews.org. Ron Israel is a leader in the field of human capacity development and education, both in the formal and non formal sectors. He formerly headed Education Development Center’s (EDC) International Development Division. He has worked with groups of scholars and teachers from countries around the world, facilitating projects within a broad array of cultural settings. He has more than 20 years of consulting and project management experience in the fields of education, health, the environment, democracy and civil society programs, and has consulted for clients including the U.S. Agency for International Development (USAID), United Nations Development Program, UNESCO, UNICEF, World Health Organization (WHO), and the World Bank. Kimberly Anderson is a communications professional with an extensive education in writing, skilled in SEO, Google Analytics, various CMS, marketing strategy, social media, and online marketing. Kimberly has a strong interest in political rhetoric, media, and reporting. She has previously worked to implement strategic marketing and communications plans for academic and healthcare institutions. A native of Ithaca, NY, Kimberly is an avid hiker and podcast enthusiast. 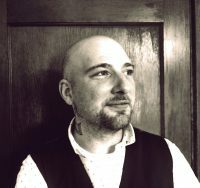 Jonathan Peter Schwartz is a freelance writer and editor. He received his Ph.D. in political science from Duke University. 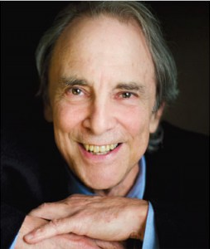 He has written on a variety of topics including political judgment and ideology, climate change ethics, and Hannah Arendt’s political philosophy. He is the author of Arendt’s Judgment: Freedom, Responsibility, Citizenship (University of Pennsylvania Press, 2016). He has also taught courses at Duke and U.W.-Madison on on environmental ethics, modern ideologies, and Hannah Arendt. An avid surfer, he lives in San Diego with his wife, children, and pug. 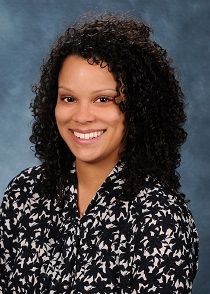 Erin Mayer is policy analyst, political activist, and contemporary writer residing in South Florida. Soon after attending the University of Edinburgh for Human Rights Law, Erin felt a compulsory need to return home to the US South, in order to focus more energy and efforts on the radical racial tensions and political activism. Erin first discovered her passion of governance and equality while serving as her college’s class President and founding member of Sigma Alpha Pi. Her undergraduate studies at The New School of New York, in International Relations were centered around law and historical, international genocides. Erin has been published by numerous other publications, specifically Afro-Centric, Nu Origins Magazine. In the Spring of 2019 Erin will attend the SOAS for a Masters Degree in International Diplomacy. She hopes to continue to accelerate her career in equality and justice for citizens everywhere. Andrew Thornebrooke is an American writer and journalist. He earned his BA in history at the Portland State University Urban Honors College and attended graduate school at Fordham University. He works as a researcher for White House Chronicle on PBS in New England, where he lives with his magnificent wife. 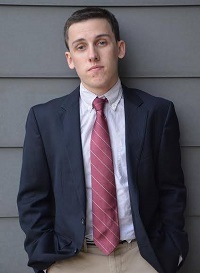 Samuel O’Brient is a freelance writer, journalist, and policy analyst. He recently graduated from Sarah Lawrence College with a Bachelor of Arts in Economics & Political Science. During his years there, he served as Director of Recruitment for Gryphon Capital, a student-run investment firm and founded the SLC Economic Review, the campus’ only student-run economic publication. 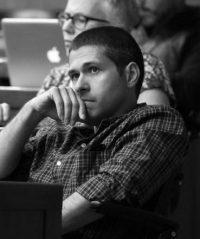 Samuel’s work has been published on numerous other online venues including Bookstr, TUN (The University Network), and Trump for Prison. He is also the founder of political and economic commentary blog My Side of the Aisle. A native of Western Massachusetts, Samuel also enjoys sailing and playing tennis when he’s not obsessively checking his stock portfolio. He hopes to return to school soon to pursue a graduate degree in either economic history or political science. Kathryn Baron is a recent graduate of Boston University’s Pardee School of Global Affairs where she received her BA in International Relations. 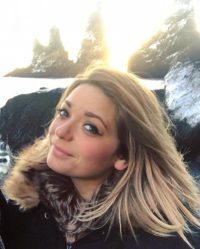 She is anticipating pursuing her Master’s in Global Affairs, with a concentration in Human Rights and International Law in the fall of 2019 at NYU. 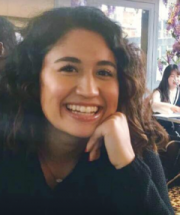 Currently based in New York City, Kathryn also interns at Human Rights Foundation and has been writing immigration briefs for USResistNews since July 2018. Taylor J is a human rights advocate based out of Boston, MA. She is a recent graduate from the University of Nottingham, England, where she completed her MA in International Law, Security & Terrorism. Taylor J’s passions lie in human rights advocacy, international justice and conflict resolution. 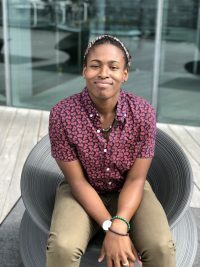 After relocating back to Boston, she currently spends her time assisting refugees and asylum seekers at the Boston Center for Refugee Health and Human Rights and interning with the Consortium on Gender, Security and Human Rights. In her limited spare time, Taylor J also weight lifts and plays basketball. Rod Maggay is an attorney and a social activist. Rod is originally from Southern California and attended the University of Southern California (USC) for his B.A. in Political Science with a Minor in International Relations. He also attended Whittier Law School in Costa Mesa, California where he earned his J.D. and a Certificate in Intellectual Property Law. Rod formerly worked for the U.S. Department of Justice in the Civil Rights Division and the Securities & Exchange Commission (S.E.C.) in the Division of Enforcement. Rod is a former rugby player who enjoys international literature and watching college sports and is always looking for ways to stay active and on the move. 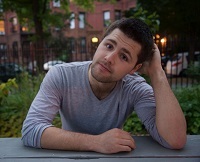 Colin Shanley is a writer, activist, and student currently working on his B.A. in Political Science at the University of Massachusetts Lowell. He is passionate about promoting the growing youth movement fighting for equality, justice, and anti-imperialism. When not studying, working, or writing for USRESIST he can most often be found with a book.